An imaginative homage to horror movie masterpieces, Horror is ingenuously gruesome, genuinely scary and very funny. 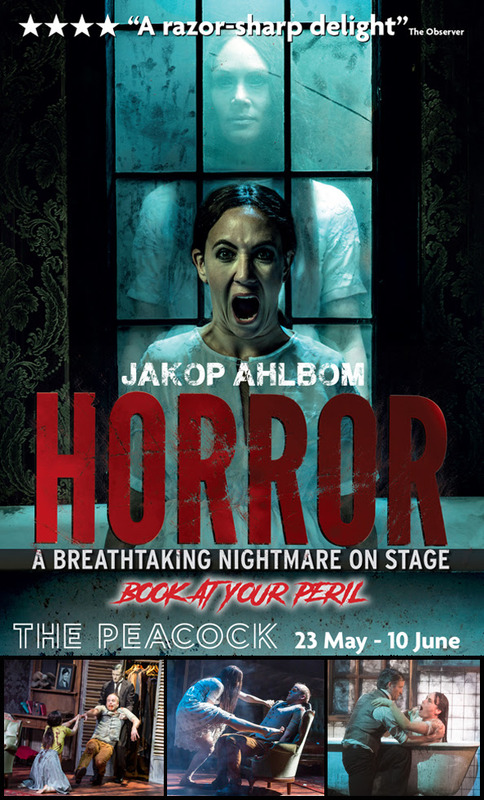 “A wonderfully entertaining slice of physical theatre” (The Observer), this spine-chilling mix of logic-defying illusions, mystery, mime, movement and blood-curling music will have you shuddering at the edge of your seat. You have been warned! Jakop Ahlbom’s imaginative homage to the horror movie genre is ingenuously gruesome, genuinely scary and very funny. Referencing classic spine-chillers as well as more recent horror masterpieces like The Shining, Rosemary’s Baby and The Exorcist, Horror will have you shuddering at the edge of your seat. Horror now returns after critical acclaim when it was presented at the 2016 Mime Festival. Don’t miss his latest cinema-inspired new drama, a journey into fear and fun, with all the mystery, gore and logic-defying illusions you could wish for. Tickets are between £16 - £32 depending on dates and where you decide to be seated. If you would like to see an idea of what you will see when you watch the show check out the trailer below.